The new release, The Twelfth Victim—The Innocence of Caril Fugate in the Starkweather Murder Rampage, is ranked in the Top 100 Kindle purchases on Amazon.com. Ranked at 39, the book, by attorneys Linda Battisti, of Ohio, and John Stevens Berry, Sr., of Nebraska, goes behind the scenes to show how unfairly the 14-year-old Fugate was treated by the state of Nebraska after she was arrested in 1958. Fugate, the youngest person ever on trial for murder in the U.S., was found guilty of being Starkweather’s accomplice in a murder spree that left eleven people dead in Nebraska and Wyoming. Battisti and Berry lay out details, showing that Fugate was Starkweather’s hostage, doing as she was told so he would not murder her parents and baby sister. Unbeknownst to Fugate, he has already slaughtered her family. Several true crime books, first published by Addicus Books in the late 90s, have been re-released as e-books. 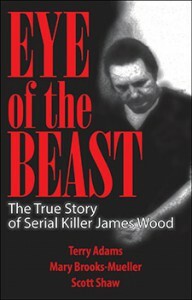 The most recent title re-released is Eye of the Beast—The True Story of Serial Killer James Wood. Other titles, which have been declared out-of-print, are also being released as trade paperbacks. The most recent books to roll off the presses are Divorce in Washington, by attorney David Crouse and The Twelfth Victim—The Innocence of Caril Fugate in the Starkweather Murder Rampage. The book is written by attorneys Linda Battisti, of Ohio, and John Stevens Berry of Nebraska. The Lincoln Journal Star praises The Twelfth Victim—The Innocence of Caril Fugate in the Starkweather Murder Rampage. In a review by Charles Stephen, the Journal Star says, “These two authors, both attorneys, have written a powerful and disturbing book about what they call a major, even brutal miscarriage of justice [for Caril Fugate]. Readers, I think, will agree that is was a travesty. To read the full review by Charles Stephen click here. The fifth edition of Straight Talk about Breast Cancer will be released in mid-October. One of the Addicus Books’ best-selling titles, the first edition was released in 1994. Since that time, the book has sold well over 100,000 copies and is used by hospitals, cancer clinics, and state health departments across the country. We are pleased to announce a new co-author has joined our slate of authors for the fifth edition. The new co-author is Margaret Block, MD, a medical oncologist of Omaha, Nebraska. “Joe is a 59-year-old male who presents to a local emergency room with chest pain. He is pale and sweaty. The emergency medicine physician reviews his EKG, which shows Joe is actively having a heart attack. Joe’s heart becomes irritable and erratic, and he goes into full-blown cardiac arrest. Saving him will require shocking his heart. Joe has a living will, which the nurse gives to the physician. What should occur next? Does Joe get shocked and live, or does Joe not get shocked and die? What treatment is right for Joe? 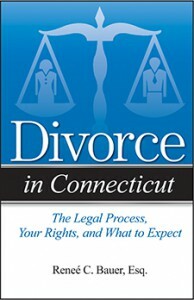 Attorney Reneé Bauer appeared on WTNH TV this month to discuss her new book, Divorce in Connecticut. Bauer is founder and principal of the Bauer Law Group, LLC where she focuses exclusively on family and matrimonial law. Her book is among the series of divorce books being published by Addicus Books. 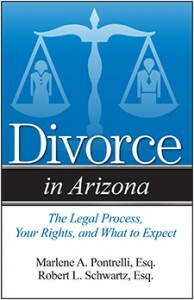 Another title in the Addicus Books series on divorce is off the press Divorce in Arizona is authored by Phoenix attorneys Marlene Pontrelli and Robert Schwartz. They are members of the Dickinson Wright Law Firm. Library Journal cites the forthcoming, fifth edition of Straight Talk about Breast Cancer in a recent article about books on breast cancer being released in October—National Breast Cancer Awareness Month. 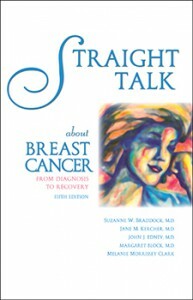 The new edition of Straight Talk about Breast Cancer marks the twentieth anniversary of the book’s release in 1994. More than 125,000 copies of the book are in print. The new book, Life without Glasses, by Los Angeles Ophthalmologist Robert K. Maloney, M.D., will be released in the Spring 2015. 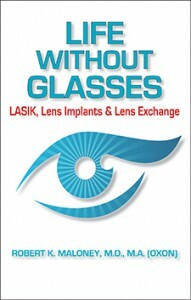 The book will cover the latest surgical techniques in correcting vision surgically; these techniques include LASIK and PRK, which is similar to LASIK. The book also covers implantable contact lenses and refractive lens exchange, both of which involve inserting new acrylic lenses in the eye. This will be the third Addicus book from Dr. Maloney. He’s also author of LASIK and Cataract Surgery. Attorneys Linda Battisti and John Stevens Berry sign copies of their book, The Twelfth Victim, at the Bennett Martin Public Library in Lincoln, on Sunday, October 19. Prior to the book signing, they gave a reading in the library’s auditorium. 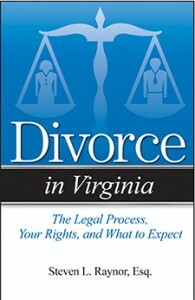 Another title in the Addicus Books “Divorce Series” is off the press—Divorce in Virginia, by attorney Steven L. Raynor of Charlottesville, Virginia. Two additional titles are heading to press early in the Fall; they are Divorce in Arizona, by attorneys Marlene Pontrelli and Robert Schwartz, and Divorce in Wisconsin, by attorney Linda Vanden Heuvel.